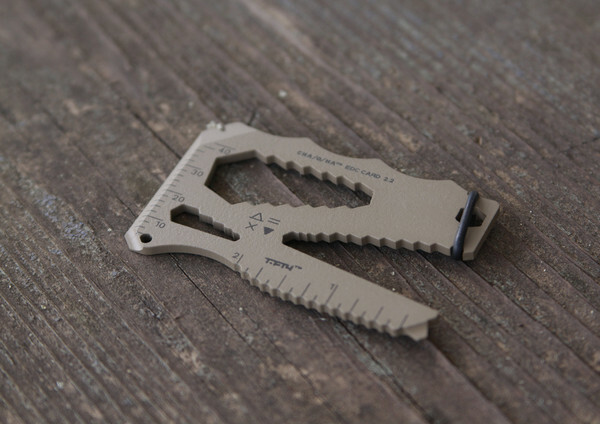 The EDC Card [via] is exactly what its name promises: a multitool designed to fit into a wallet and be carried around every day, just in case you run into an opportunity to show off your EDC Card. This Special Edition model comes with a weapons grade ceramic coating applied, to create a non-reflective surface for a discreet look. The back of the Special Edition EDC Card has laser etchings to designate tool sizes. It is TSA-safe, $80 and, the makers stress, made of blade steel, not titanium, which is soft. This funny video lampoons the guy in your circle who always, for some reason, has a knife and a pretext to display it.